I was shocked at the loss in the first Test match in Abu Dhabi against New Zealand. Pakistan's record in fourth innings chases isn't great, but having said that, the loss was totally unexpected and difficult to comprehend. One area of Pakistan's cricket which disappointed me in Dubai was their running between the wickets and that resulted in several mix-ups and this is something that the boys need to eradicate. However, whilst criticising the team for the first Test loss, I can't praise them enough for their performance in the second Test match in Dubai and their performance was exceptional in all areas. To come back and perform like the boys did in Dubai after a loss like the one in Abu Dhabi takes guts and courage. In my experience, I think the whole group will have had a clear the air meeting after the Abu Dhabi loss, a hard talk where a few home truths were probably dished out by Mickey Arthur. Then after that, draw the line and move on and look ahead to the next match. As a professional sportsman, you have to have the ability to bounce back after a setback and show mental toughness and Pakistan did that in the second Test, where they corrected the errors of Abu Dhabi. 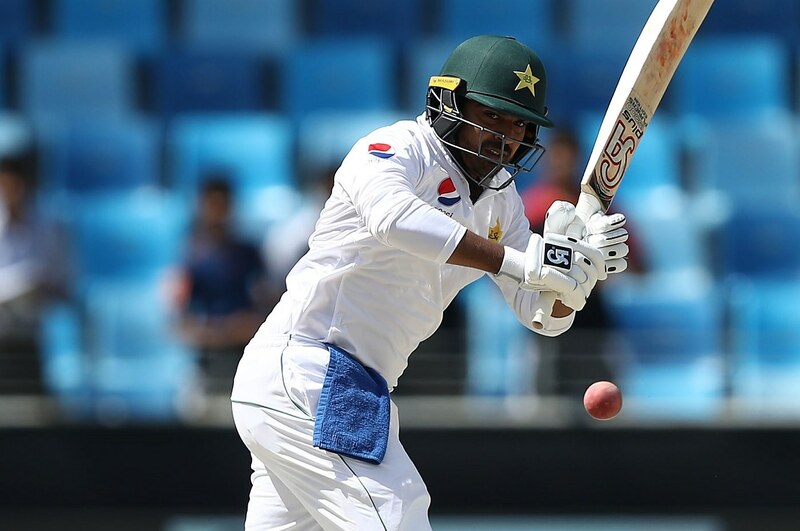 We were all worried as to what will happen when Younis Khan and Misbah-ul-Haq retire and what will be the state of Pakistan's batting, but I don't think we should worry as Haris Sohail has already shown what a fine batsman he is. He is a suitable replacement for Younis and Misbah and is exactly what Pakistan cricket needed, especially the Test team. He has great temperament, he is calm and has a very good technique. Haris is a proper Test batsman who has the rare ability to occupy the crease for long periods. Too many modern-day batsmen seem to be good limited-overs players but struggle in the five-day format, but Haris has shown that he is a very capable batsman in all formats. This boy impresses me every time he goes out onto the field. He is mentally tough and has shown this after some indifferent form of late. It's clear to see that he enjoys his cricket and he gives 100% for his team every time he is out there whether it's in his fielding, his batting or his bowling. He's received some criticism recently but I feel that's unfair as it's impossible for any cricketer to do well in every match they play in. Hasan is playing for Pakistan in all three formats, as well as playing in leagues around the world and that is tough. He will have some bad days and it's easy to criticise, but Hasan is a cricketer who I have a lot of time for and even when he is not at his best, look at his energy levels and his commitment. He is an asset for any captain. Abbas is a highly-skilled operator with the ball and even when he is not taking wickets, he is a handful for the opposition batsmen. He may not have taken wickets in the last few innings but it's nothing to worry about, he will be back amongst the wickets soon. My only concern is, that he has played a lot of cricket in the past year and perhaps there is some pressure on his body playing so much back-to-back cricket. Test match cricket is gruelling, especially for pace-bowlers and I would advise Abbas to get some well-earned rest ahead of the tour of South Africa and work on his fitness. I think Abbas will be fantastic in South Africa as pitches there should suit him greatly. 14 wickets in a match, what can one say about such a performer. He was the one who led from the front and showed New Zealand that Pakistan would be a different proposition in Dubai compared with Abu Dhabi. Pakistan needed one of their bowlers to step up and Yasir did that in style. He's a match-winner, a world-class bowler who is in good rhythm and wants to lead the bowling attack. It's not just his skill-levels that should be applauded, but his fitness levels should also be noted. He bowled more than forty overs in the second innings in Dubai and even for a spinner, that is some achievement. Leg-spin is a difficult art and Yasir Shah deserves all the praise after such a wonderful performance which contained so many brilliant deliveries against some top-class batsmen like Kane Williamson and Ross Taylor. I don't think it's time to discard Hafeez and Imam at the moment despite their struggles in the series against New Zealand so far. They have only batted three times in the series and let's see what they can do in the next Test match. They shouldn't be discarded on the basis of a couple of poor innings. The other thing to consider is that the next series is in South Africa and it would be a big risk to take a rookie there. It would be a tough ask to make a newcomer start their career in South Africa and that's why I believe that Hafeez and Imam should be persevered with. Fakhar Zaman is a good option too but he has a knee problem, and Hafeez also gives Pakistan an extra bowling option in South Africa too.